WestSound Home & Garden magazine is excited to present the annual Best of West Sound results — from Bainbridge Island all the way to Gig Harbor, we’ve found the businesses and places you love. Enjoy! A very popular local hangout, Silver City offers both great food and beer, and features an atmosphere that’s a notch (or two) above your typical brewpub. Top that with the friendly service, and it’s clear why the place gets quite busy on many nights. The menu is diverse — from pizza and sandwiches, to baby back ribs and fresh-sheet offerings like crab-stuffed salmon. Serving seasonal and local favorites along with all-time classics for 30-plus years on the Manette waterfront, the Boat Shed is accessible by car or boat. Whether it’s dinner in the summer on the huge deck, or a cozy fall lunch inside when the wind is blowing and waves are crashing, there’s always something good in store at the Boat Shed. Enjoy lovely views of Dyes Inlet as you visit this friendly waterfront establishment that offers outdoor seating during summer. Besides the popular steaks and prime rib, the menu’s selections include salads, seafood (from salmon to oysters), burgers and pasta. A private room is available for parties. The Ramos family has built a successful chain of 35 Azteca Mexican restaurants, including one locally. A family restaurant, Azteca features a wide variety of authentic Mexican fare including a selection of Mexican salads, soups, burritos, enchiladas, fajitas and a “Little Amigo” menu specifically designed for children, all served in a warm, Hacienda-style atmosphere. Known for its inviting atmosphere and friendly staff, Moctezuma’s has garnered numerous “best of” accolades. The menu features authentic cuisine, with many dishes based on old family recipes. You’ll find more than a hundred tequilas and mezcals offered at the bar in a rustic, relaxing atmosphere. La Fermata offers “Northern Italian dining with a Northwest twist.” With a menu that’s more sophisticated than many locals may be accustomed to, it’s clear why the place is so busy on many nights. The menu is quite diverse — and features more than just Italian fare. It’s food made with passion and a dedication to excellence. A local family restaurant, Green Garden offers Vietnamese cuisine that combines just the right amount of spicy, sour, bitter, salty and sweet for some of the best pho you’ll find in Central Kitsap. The cozy restaurant has an extensive menu that also includes appetizers, rice plates, vermicelli noodles, entrees and more. This cozy café, self-described as “fun and funky,” is a popular destination, offering a quirky atmosphere and unique menu (like biscuits made on a waffle iron). Enjoy nostalgic décor that includes a “thermos museum,” an organic-coffee “bar” and popular seating in the converted VW van parked outside. The menu at Monica’s has been crafted using excellent quality, fresh, house-made foods. The café supports local as well as organic suppliers whenever possible and strives toward Earth-friendly, sustainable practices. Utilizing and supporting local farms and other businesses is extremely important to Monica’s, as is offering ingredients that are sustainable and responsible whenever possible. Authentic recipes using fresh, high-quality ingredients and breakfast served all day. The extensive menu features everything from pancakes and waffles to crepes and omelets — and a lunch menu is available on weekdays on top of that. The family also still runs the first Oak Table that they opened in Sequim in 1981. A most unique shopping experience, Cameo Boutique is much more than a wine shop. It features fashions, jewelry, Pacific Northwest gourmet foods, gifts and fine furnishings for the home. Sometimes known as “Bin 106” Wine Shop — a reference to the highway linking Union in Mason County to the rest of the world — it specializes in Pacific Northwest wines, along with fine wines from all over the world. Enjoy complimentary wine tastings Saturday, 1-5 p.m.
McCloud’s caters to those looking for a great family-friendly setting featuring “down-home” food with an emphasis on prime rib, steaks, applewood-smoked St. Louis ribs and great burgers. A commercial smoker runs daily, preparing the applewood- and alderwood-smoked ribs, pulled pork and brisket. The steaks come from the Midwest, and only corn-fed beef is used, while the hamburger meat is a brisket/chuck grind prepared locally by Minder’s Meats. And prime rib is always on the menu. Established in 1986 with its popular Hood Canal location, the family-owned pizzeria now has six locations. Building a reputation by consistently making a darn good pizza, Seabeck is known for its flexibility in serving others, whether it’s home-bake, dine-in, takeout, delivery and even boat delivery. Rated among the best regional restaurants by Consumer Reports, Habit Burger has five locations in Puget Sound and several others in the Northwest. The Silverdale location is a recent addition and was highly anticipated. If you’re in the mood for a gourmet burger, try one of the popular charburgers and make sure to add one of the frozen treats like a handcrafted strawberry malt. With a tagline of “Texas-style barbecue done right,” Danny’s serves authentic “Texas Hill Country” barbecue. Using highest quality meat and hardwood, the barbecue is smoked for 12-18 hours — no sauce required. Melt-in-your mouth brisket, baby-back ribs, pulled pork, cornbread and Texas toast are some of the other options — not to mention the beer. Offering not only good coffee, but hope for at-risk and homeless youth. Thousands of youth have passed through the doors of the Coffee Oasis, which started in the 1990s as a street ministry. What they’ve found is a welcome place and people who care for them, regardless of their background or present situation. The Coffee Oasis has since expanded to include more resources for street youth (showers, laundry, clothing and food), youth centers, job training, mentoring, case management, a shelter and more. Stop by for a cup of good coffee and do some good for your community as well. Started in 1996 by two brothers, Silver City Brewery is an unabashed local success story. Now brewing eight year-round ales, six seasonal lagers, six limited-series lagers, six barrel-aged beers, four special Valentine’s series brews — plus rotating “rarities” — Silver City offers a brew for every taste bud and occasion. The Silver City Taproom features as many as 20 different draft beer selections at a time. There are also free tours on Wednesdays and Fridays (4 p.m.) and a daily Happy Hour featuring a $3.50 pint list and discounted growler fills (3 to 5 p.m.). Located just off Highway 106, the cozy Union Square Deli serves up a friendly atmosphere along with a menu that includes breakfast and lunch. Take the drive-through if you’re in a rush or stay a while if you’re not — there’s even a comfy couch. Sandwiches like Salmon Sammie and Italian Stallion are just one part of the menu; there’s also brick-oven pizza, paninis, salads and wraps and espresso. Perfect place for that chocolate fix — mouthwatering, handcrafted confections like truffles, barks, caramels and creams. And the caramel apples are simply to die for (and a bit difficult to choose, considering all the tempting selections). Located on the waterfront in Purdy, Massimo is owned by a married couple who met nearly three decades ago in Italy. Open for lunch and dinner, it features soups, salads, sandwiches, gluten-free pastas, pizza and scrumptious desserts. There’s also a kids’ menu. Massimo also features an extensive collection of Italian wines, as well as numerous Washington and California wines. Red Robin’s gourmet burgers don’t disappoint, plus, you get to choose how many fries you want! The kids’ menu has everything from pizza and mac-and-cheese to meatballs and grilled cheese sandwiches. Adults, of course, will find their own dining pleasure, with a bevy of appetizers, gourmet burgers, salads and more, plus all kinds of beers and cocktails. Offering excellent quality, fresh, house-made foods, the menu at Monica’s has been crafted to support local as well as organic suppliers whenever possible, striving toward Earth-friendly and sustainable practices. Utilizing and supporting local farms and other businesses is extremely important to Monica’s, as is offering ingredients that are sustainable and responsible whenever possible. Dr. Ingela Thomsen specializes in family medicine. A graduate of the University of Washington Medical School, she joined the Doctors Clinic in 1998, after serving her residency at Valley Medical Center in Renton. As a practicing physician at Harrison Medical Center, she is recognized as a member of the Healthgrades Honor Role. As part of the CHI Franciscan Health, Harrison offers complete hospital facilities in Bremerton and Silverdale, plus award-winning cardiovascular services, including open-heart surgery. Services also include oncology, inpatient and outpatient surgery, orthopedics, critical care and 24/7 emergency care in its Level III Trauma Center. That’s in addition to urgent care facilities in Port Orchard, Belfair and Bainbridge Island, along with satellite clinics and primary care partner facilities throughout the Kitsap and Olympic peninsulas. Dr. Miranda Lowry’ philosophy is focused on using excellent clinical skills to provide gentle and caring treatment to patients of all ages, with an emphasis on prevention and conservative dentistry. Born in Seattle and raised in Kirkland, Dr. Karlie Gaskins opened her Port Orchard practice upon her return to Puget Sound after longtime private practice in Bend, Oregon. She supports organized dentistry and the way that organizations support consumers’ health, so she is a member of several local, state and national dentistry organizations. Kitsap Physical Therapy is a group practice that’s owned and operated by a majority of its physical therapists. KPT specializes in orthopedic, work and sports-related injuries. It also offers various specialty and preventative programs, including senior fitness, Strength After Cancer and cardiac conditioning. Founded in 1979, KPT now has almost 20 partners/physical therapists and seven locations. Founded in 2004, Rejuv began in a single cozy room in the loft of the Amy Burnett Art Gallery in downtown Bremerton. It moved several times as it outgrew its locations and added more employees. Now more than a decade old, Rejuv has six massage therapists, a spacious six-treatment-room spa, and several “best of” awards. Located in Old Town Silverdale, Seaport Salon & Spa is a family-owned and community-driven business. It began small and built its award-winning team to offer a full range of salon and spa services to help you renew and replenish your body, mind and spirit with holistic treatments. With an office in a private, serene setting, Dr. Janice Ngan uses state-of-the-art equipment for extended visual testing for diseases of the eye such as glaucoma, cataracts and macular degeneration. The large optical boutique has a vast selection of designer frames. Offering award-winning service and options for independent living, assisted living, memory care and skilled nursing care, Encore Communities’ local facilities deliver an impressive quality of life for all its residents, no matter what their needs. Founded by a husband-and-wife team, Hearing Advantage has been providing hearing health care to the Olympic Peninsula since 1985. With locations in Poulsbo and Sequim, its audiologists’ primary goal is to educate patients about the effects of hearing loss and possible treatment options. It specializes in comprehensive diagnostic audiology evaluations, state-of-the-art hearing aid technology, tinnitus therapy and hearing loss counseling. Serving seniors as well as children since 1891, Martha & Mary provides services across numerous locations including offices and campuses throughout the Kitsap and Olympic peninsulas. Its diverse list of services include home care and geriatric care management, senior independent living and assisted living, and rehab and skilled nursing care. Part of the YMCA of Pierce and Kitsap Counties, the 86,000-square-foot Haselwood Family YMCA boasts more than 18,500 active members and features more than 270 weekly group exercise and water exercise classes, youth and adult swim lessons as well as more than 250 cardio and strength machines and equipment. The branch also provides community outreach and partners with various service agencies throughout Kitsap County to ensure total health of the community in spirit, mind and body. West Hills Honda is part of the Haselwood Auto Group/West Hills Autoplex, which was founded in 1949 by Chuck Haselwood. A recipient of the Honda President’s Award in 2016 and four other times, West Hills Honda is recognized as a top-performing Honda dealership that is committed to creating an exceptional experiences as well as providing excellent service. Chrysler Jeep Dodge RAM is part of the Haselwood Auto Group/West Hills Autoplex, which was founded in 1949 by Chuck Haselwood. The dealership has expert staff and financial specialists who will help you find your perfect car. You can also take advantage of the vehicle repair and service center as well as the extensive inventory of genuine car parts. Heartland Toyota is part of the Haselwood Auto Group/West Hills Autoplex, which was founded in 1949 by Chuck Haselwood. In 2016, Heartland Toyota received a DealerRater Dealer of the Year Award, which recognizes a select number of dealerships in the United States and Canada for outstanding customer satisfaction. Liberty Bay Auto has built a reputation for expertise, service and dependability since 1989. It is a second-generation local business with a culture of honesty and is known for selling only high-quality, reliable used cars that are backed up with great service. Started in Seattle in 1957, Brown Bear has expanded to numerous locations around the region, including five in Kitsap County. The car wash uses eco-friendly techniques and equipment and strives for customer-driven service. Serving the community for more than 50 years, Town & Country does it all. The complexities of contemporary automobile technology make even the most basic maintenance a daunting task, so whether you need maintenance to keep your vehicle running smoothly for a long time, or want a problem fixed right the first time, these are the people you can count on. In business since 1952, Les Schwab Tires offers friendly and reliable service, and is known for going above and beyond for its customers. 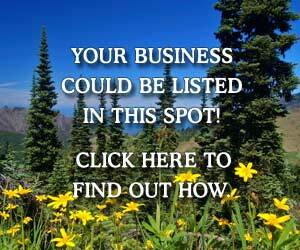 It offers several locations throughout the West Sound region. 9270 Miller Rd. NE, Bainbridge Island. For more than four decades, Modern Collision Rebuild & Service has faithfully serviced the automotive collision and mechanical repair needs of Kitsap County residents. Family owned and operated, it’s known for giving back to the community. Long’s Auto Body has many rave reviews from customers for going above and beyond and doing great work at a fair price. Trew Auto Body has been serving Kitsap County for 30 years and is a five-star EnviroStars certified facility, which means it follows the highest environmentally friendly practices. Many of its employees have two or three decades of experience in the industry. A full-service commercial builder since 1983, FPH Construction has developed and built numerous local retail, office, restaurant, warehouse and other properties. 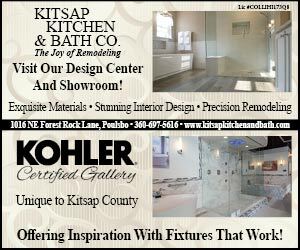 You’ll recognize many of the new construction or remodel projects on the firm’s list, from Kitsap Way Family Pancake House and Poulsbo Inn, to Boat Shed and Amish Touch Building. Founded 40 years ago by Rob Smallwood, the company has grown into a family business with more than 20 employees. Smallwood Construction is renowned for its green building and high-quality work on new custom homes as well as remodels. Family-owned since 1978, Kitsap Trident Homes builds a variety of houses, from affordable single-family homes to multi-family complexes and high-end homes, as well as offering remodels. The company’s goal is to provide exceptional quality and customer service that exceeds your expectations. Established in 1987, Hanley Construction Inc. grew out of a side business more than 30 years ago to become the Kitsap Peninsula’s premier roofing company. It offers high-quality work at competitive prices, and thousands of homeowners and business owners have entrusted their roofs to Hanley. When you hire Hanley, you’re guaranteed to be working with some of the best professionals in the business. Named on the 2017 list of best 100 companies to work for in Washington state by Seattle Business magazine, Rice Fergus Miller encourages experimentation and innovation. Among its innovative projects is its own green-built headquarters in downtown Bremerton. Offering both new construction and renovation services, the firm is a Certified B Corporation for its sustainable business practices. Completed projects include Harrison’s Heart and Vascular Center, Kitsap 9/11 Memorial, Kitsap Bank’s East Bremerton Branch, Bremerton School District’s West Hills STEM Academy and Kingston Branch of the Kitsap Regional Library, just to name a few. A Kitchen That Works (AKTW) is a full-service design-build firm specializing in kitchens and baths. Passion for excellence is reflected in every project, and the holistic approach ensures the design and materials selected work well with the homeowners’ lifestyle and budget. Owned and operated by certified sustainable professionals, AKTW is dedicated to protecting natural resources while providing clients with beautiful, functional, low-maintenance homes. A full-service plumbing company, Select Plumbing has been serving Mason County since 2000. It is known for its honest, reliable and quality service. With nearly three decades of experience, Peninsula Electric has established a reputation for excellence in delivering comprehensive electrical contracting services. The company serves residential, commercial and government customers and provides complete installation expertise and in-house design and engineering services. Locally owned and operated, Dana’s Heating & Cooling offers a variety of HVAC services and electrical repairs. The company has grown from 1997 to employ more than 40 people and serve the entire West Sound and even beyond. Creekside Cabinet & Design is a locally owned business that’s provided exceptional value to customers on the Kitsap Peninsula and the Puget Sound region for more than 15 years. 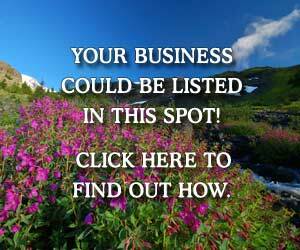 If you live on the Kitsap Peninsula, chances are the company has worked with someone you know. A Kitchen That Works (AKTW) is a full-service design-build firm specializing in kitchens and baths. Passion for excellence is reflected in every project, and the holistic approach ensures the design and materials selected work well with the homeowner’s lifestyle and budget. Owned and operated by certified sustainable professionals, AKTW is dedicated to protecting natural resources while providing clients with beautiful, functional, low-maintenance homes. Locally owned and operated, Floor Decorators/Carpet One offers a complete selection of residential and commercial flooring options, including carpets, area rugs, ceramic tile, hardwood flooring, sheet and vinyl flooring, along with countertops and professional installation services. As an independently owned store, Peninsula Paint offers a level of service you thought no longer existed, along with an array of superior quality products, including premium Benjamin Moore paints and stains. The in-store professionals are specialists with the experience and helpful advice to ensure the success of every project you have. Arnold’s can assist you with room arrangements, fabric and carpet selection, and tie it all together with accessories to create a unique look just for you. It has been serving the community since 1951 and is renowned for its excellent level of customer service, outstanding selection of home furnishings and accessories, along with a complete department devoted to mattresses and carpets. Creative Countertops specializes in custom quartz and granite countertops as well as being the Kitsap Peninsula’s largest Corian fabricator. It also offers green alternatives like icestone, paperstone and bamboo, and is the place to go for the best selection of solid-surface counters and sinks, shower and bath surrounds, as well as tile. Arnold’s has been serving the community since 1951 and is renowned for its excellent level of customer service, outstanding selection of home furnishings and accessories, along with a complete department devoted to mattresses and carpets. Headquartered in Port Orchard and with branches throughout Kitsap, Pierce, King, Jefferson and Clallam counties, Kitsap Bank has been serving the local community’s banking needs for more than 100 years and is one of the oldest and largest locally owned and operated community banks in the state. Silverdale Antiques offers a great selection of quality antiques including transferware, linens, silver, glassware and furniture. The store has developed a reputation for some of the best antique selections in Kitsap County. Liberty Bay Books started as Shotwell’s Bookstore in 1977 and was purchased by its current owner in 1996. The local, independent bookstore offers books, ebooks, cards, gifts, games, book clubs and events with favorite authors. The friendly staff loves helping clients find that perfect book, offering staff picks shelves throughout the store — or simply tell them what books you’ve loved in the past and they’ll suggest similar authors and titles. A Kitsap County native and graduate of North Kitsap High, Joni Kimmel has been selling real estate locally for more than 20 years. She specializes in waterfront and water-view properties and loves helping her clients achieve their home ownership dreams. Founded in 1931, Allstate offers an extensive network of local agents who specialize in a broad range of insurance products and are involved in their communities. Both real estate agencies have multiple locations throughout West Sound and have been serving the local communities for many years. Megan Pulkkinen is a landscape designer, consultant and gardening coach who serves residential and commercial clients throughout the Olympic Peninsula. A Washington state resident since 1991, she is a certified professional horticulturist who enjoys sharing her knowledge with gardeners, nursery professionals and many others. Ridgetop Animal Hospital strives to offer optimal veterinary care and sound advice so you can enjoy your pet companion for a maximum number of years. The team sees its job to not only treat your pets when they’re not feeling well but also to help you learn to keep them healthy and happy. Port of Brownsville has more than 300 permanent moorage slips as well as 40 moorage slips. The list of amenities include free Wi-Fi, self-service laundry, a full-service fuel dock, restrooms and more. Based in Bremerton, Paul’s Flowers has been serving the community for more than 80 years. The florist offers fresh and unique floral designs for any occasion, including weddings and funerals, along with a selection of gifts and indoor plants. With certified professional horticulturists on staff, Valley Nursery offers a wide variety of products and services. Started in the early 1970s as a hobby farm, it includes a house and barn built before the 1920s. The location is easily recognizable thanks to the huge landmark troll “Valnur,” which was carved out of a cedar stump and stands over 8 feet tall, holding an oversized water can and tending the garden at the entrance to the nursery. Whether you’d like a custom landscape with a decorative concrete patio, lawn care or landscape maintenance services, the skilled and professional team will deliver an exceptional product at an affordable price. Morrison Gravel has provided quality landscape products for the professional and the do-it-yourselfer in Kitsap and Pierce counties for more than 60 years. Its products are available for pickup or delivery in the local area. Headquartered in Port Orchard and with more than 20 locations throughout Kitsap, Pierce, King, Mason, Jefferson and Clallam counties, Kitsap Bank has been serving the local community’s banking needs for more than 100 years and is one of the oldest and largest locally owned and operated community banks in the state. KCU is a member-owned cooperative with more than a dozen branches throughout Kitsap County and more than 300 employees. It was chartered in Bremerton nearly 80 years ago. Uptown Gig Harbor features a mix of national retailers along with local merchants offering the latest fashions, intriguing gifts, décor and artwork. You’ll also find fine dining and casual restaurants, plus the state-of-the-art Galaxy Theatre, which features the latest movies, has an IMAX theater and serves as the venue for the annual Gig Harbor Film Festival. Uptown hosts outdoor community events throughout the year. A Bremerton native, John Mitchell has been practicing law in Kitsap County for more than 40 years. He specializes in personal injury law, as well as estate planning and probate, among other areas. Established in 1979, Parker Mooers & Cena has a team of experienced professionals who understand the full spectrum of accounting needs and provide prompt, efficient and cost-effective services not only locally but also throughout the United States and around the world. Showcasing the breathtakingly beautiful designs of Leo Fried, Blue Heron Jewelers is a destination for unique, high-quality, custom-made jewelry for all occasions. Fried started the business 30 years ago. In 2017, Blue Heron won first place in responsible practices in a Manufacturing Jewelers and Suppliers of America (MJSA) design competition for a custom-designed ring. Providing printing and custom design since 1992, Sound Reprographics is your one-stop shop for color printing, CADD printing, banners, signs, laminating, printed clothing and much more. Services also include FedEx shipping and “do-it-yourself” printing. Featuring a highly skilled team of artists, Three Arrows Salon has the mission of providing clients excellent customer service in a warm and friendly environment — and, of course, making sure your hair looks great. With stylists who boast years of experience and continuing education, Alainn Salon has dedicated staff who will help you find your best look and achieve it. The comfortable, relaxed atmosphere is designed to make you feel great. From mani/pedi to spa services, Apollo offers quality, thorough and consistent services. The staff strives to make clients feel comfortable, satisfied — and in a state of pleasure and bliss. Martha & Mary’s Kids program offers a variety of children’s programs, including the Child Care Center in Poulsbo, which has been serving families since 1989; the Early Learning Center in Silverdale; and before-and-after school care at local schools; as well as summer programs. The longtime teachers and staff are dedicated to helping each child discover his or her unique potential by nurturing the growth of the whole child — emotionally, socially, physically and intellectually. With the tagline “Dream big, ask bold,” Seeds of Grace creates sustainable and organic gardens in impoverished neighborhoods around the world. The organization builds partnerships in ministry globally and locally, offering everyone the chance to pay it forward and feed the hungry. Founded in 1963, Holly Ridge has the mission to enable children and adults with differing abilities to reach their fullest potential, creating a positive and lasting impact on the community. It offers an infant toddler program and an adult employment services program. Suquamish Clearwater Casino Resort is nestled on the shores of Agate Passage. Indoors and out, this breathtaking property captures the rustic, natural beauty of the Pacific Northwest. It also features guest rooms with spectacular waterfront views as well as several dining options. This award-winning Bainbridge Island hotel is an ideal place to stay while coming to the Island for business or leisure, and is close to a variety of things to do. Well-appointed rooms and friendly staff will make your stay comfortable and enjoyable. A most unique shopping experience, Cameo Boutique features fashions, jewelry, Pacific Northwest gourmet foods, gifts and fine furnishings for the home. Sometimes known as “Bin 106” Wine Shop — a reference to the highway linking Union in Mason County to the rest of the world — it also specializes in Pacific Northwest wines, along with fine wines from all over the world. Enjoy complimentary wine tastings Saturday, 1-5 p.m. Starting out as a brewery in 2010, Slippery Pig expanded to open a location in downtown Poulsbo. There, it offers delicious Northwest beer, a quirky atmosphere and a menu you won’t find anywhere else. Blues, Irish or live mic surprises — pick your pleasure and just show up on the right live-music night. A cozy spot to watch football, baseball, basketball, golf and college games, The Sidelines offers good food and great people — and, apparently, great karaoke talent. Since 1988, Lisa Stirrett’s work has evolved as she has explored and mastered many different mediums. Her work lends itself to beautiful interior and exterior art for personal or commercial use. In addition to selling art, the studio hosts frequent events and offers various classes. Collective Visions is an artist-owned and operated gallery. It represents about 20 Puget Sound artists who produce art in many media, including oil, acrylic and watercolor paintings; drawings in pastel, pencil and charcoal; etchings, monoprints and collographs; wood carvings; sculpture in stone, wood, and metal; a variety of functional and artistic ceramics; color and black-and-white photography and digital mediums as well. Crista Camps at Island Lake and Miracle Ranch offer scores of unique activities in addition to traditional camp fun like boating, swimming and fireside bonding. At Miracle Ranch, wranglers teach horsemanship classes that span a wide spectrum of skills. Island Lake specializes in extreme adventures like dirt bikes and high ropes. The consistent goal at both camps is to offer experiences that result in personal growth, authentic relationship development, high-level customer service and massive fun. The 61-acre Point No Point Lighthouse and Park, owned by Kitsap County, includes a sandy beach and picnic areas, saltwater access and the oldest Puget Sound lighthouse, which the county leases from the U.S. Coast Guard. The U.S. Lighthouse Society has its headquarters in the old lightkeepers’ duplex, with half available as vacation rental. Tours are offered regularly. Explore the rides and attractions of the indoor water park. From spray features in the toddler area to white-knuckle extreme tube rides, this water park is designed with everyone in mind. Even Grandpa could give most of the slides a go. Dramatically sculpted into the Pacific Northwest splendor, the Olympic Course has garnered impressive awards and has taken its place as one of America’s finest municipally owned golf courses. Wooded enclaves, rolling terrain and wide fairways are touted by the Cascade Course, with a long history of providing championship golf in the Northwest. You’ll find stunning views and delicious cuisine at the clubhouse. A community success story, Sehmel Homestead Park was once the homestead of a Gig Harbor pioneer family and was preserved through community efforts. It is now home to 76 acres of open space including wetlands and forest conservancy, and another 22 acres of active recreation. Sports fields include softball, soccer, baseball; there are also tennis courts, basketball courts, demonstration gardens, a boundless playground, picnic shelter, amphitheater and more. This 90-acre Bainbridge Island Metro Parks & Recreation District property is a former naval radio station and consists largely of open space. In addition to two soccer fields and three softball fields, the park has two ponds, a jogging trail, a horse area, a picnic shelter, two tennis courts and two basketball courts shared with a roller hockey court, a children’s play structure — and more. A community project renovated the old rubber-and-sand soccer fields with new drainage and two new durable FieldTurf fields, in a cooperative effort that included the park district, Bainbridge Island Youth Soccer Club and various donors. This 10.3-acre city of Bremerton community park features an inclusive playground, basketball court, water access and boat ramp, picnic areas and more. The park is home to the Kitsap 9/11 Memorial, made from two steel beams, 5,000 pounds each, from the destroyed World Trade Center and from limestone from the damaged Pentagon. Following the Sept. 11, 2001, attacks. Central Kitsap Fire & Rescue was the third in the country to apply for World Trade Center artifacts and the first in the state to receive approval. Head to downtown Bremetron any time you’re in the mood for a little museum hopping — you’ll find several including the one-of-a-kind puppet museum — and to downtown Poulsbo for a little taste of Norwegian style. Both cities are great staycation destinations, thanks to the many shops, restaurants, parks and art galleries. And whichever town or city in West Sound you choose to live in or visit, you’ll find unique experiences including waterfront recreation, beautiful views, friendly local merchants, amazing dining and family-friendly activities.